Hotwire is the 9th book in the Maggie O'Dell series by Alex Kava. On one seemingly dull evening somewhere in Nebraska, a group of teenagers are hanging out in a forest clearing and experimenting with psychedelic drugs. Minutes later, the teenagers witness a mysterious fireworks and laser show that ends in electrocution, violence, and fatality for most of the teens involved. When FBI Special Agent Maggie O'Dell stumbles upon the incident while investigating cattle mutilation nearby, she is thrust into the middle of a conspiracy that she must resolve before more teens are killed. Meanwhile, in Washington, D.C., Maggie's boyfriend and Army colonel Dr. Benjamin Platt is investigating a poisonous outbreak that has infected hundreds of school children. When Platt discovers the children have been contaminated on behalf of the school lunch program, Platt, like Maggie, is thrust into the middle of yet another unethical conspiracy. Platt must then work with the appropriate government parties to ensure that no poisonous food of this particular caliber is ever released to the public again. Alex Kava is one of my favorite suspense novelists because she's a master at writing red herrings and plot twists, however, Hotwire is actually quite mellow in regards to these factors. The story is indeed suspenseful, and reads at a steady and gripping pace, but doesn't leave much room for guessing. The parallel storylines for O'Dell and Platt is an interesting storytelling approach, but each incident doesn't quite come together (if at all) like I originally hoped it would. Now that I am actually sitting down to write this review, the best way to sum up Hotwire is to say that the novel is very enjoyable and will help pass the time, but does not contain surprise elements that will leave your jaw gaping in disbelief. Fans of Alex Kava and her Maggie O'Dell series will definitely enjoy Hotwire, and should read it to learn more about Platt's background and his relationship status with O'Dell. 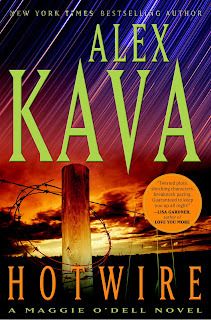 Suspense fans in general can pass on reading Hotwire; however, I definitely recommend starting with Kava's more exciting novels, such as A Perfect Evil (2000), Split Second (2001), and One False Move (2004). Kava's newest installment of the O'Dell series is Fireproof, set to release in July 2012. Click on any photo image for the books below to review them in more detail on Amazon.com. 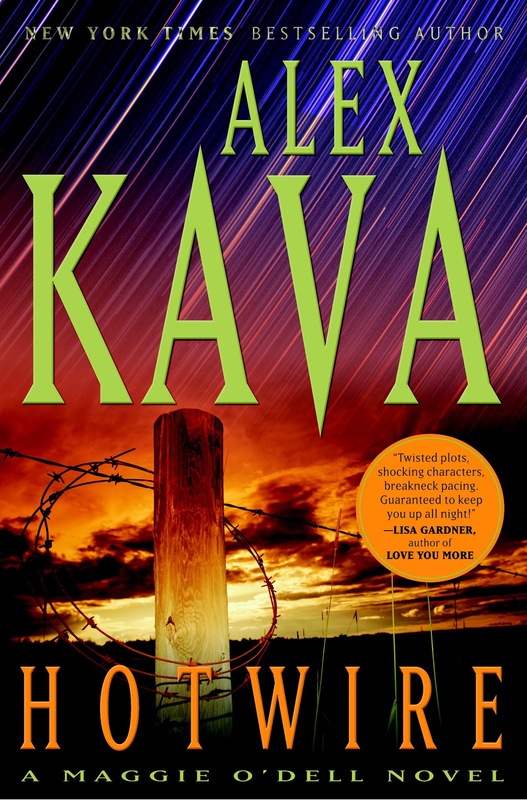 What are your favorite novels by Alex Kava? Have you read any suspense lately with major plot twists, and if so, what are they?